“Lurking below the murky depths of the world’s oceans, a giant beast will come for you when you least expect it.” Here is the usual description of sailors on the sea monster they most fear, the Kraken. With its large tentacles, the Kraken can devour an entire ship within a moment’s notice. The Vikings, undoubtedly one of the bravest seamen in the old age, fears this giant of a monster whenever they are out in open seas. With this in mind, it comes to no surprise that even up to this day, the Kraken still holds that fearful image we all dread. 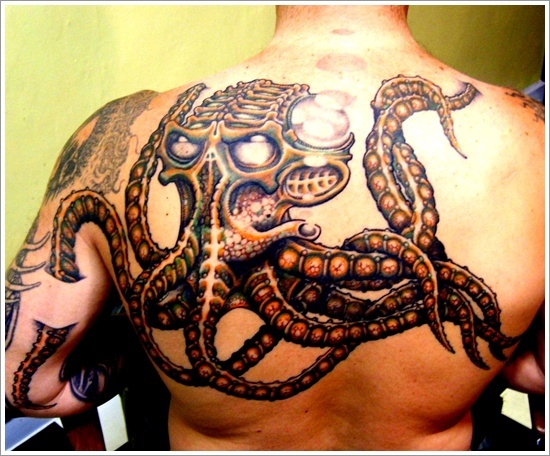 Likewise, this is a reason why the Kraken also conquered the body art industry with the Kraken Tattoo. Here in this article, we will discuss the background on this incredible sea monster, the meaning, and some design ideas that you help you decide what kind of design you would want to have as a tattoo. 2 What Is The Meaning Of A Kraken Tattoo? 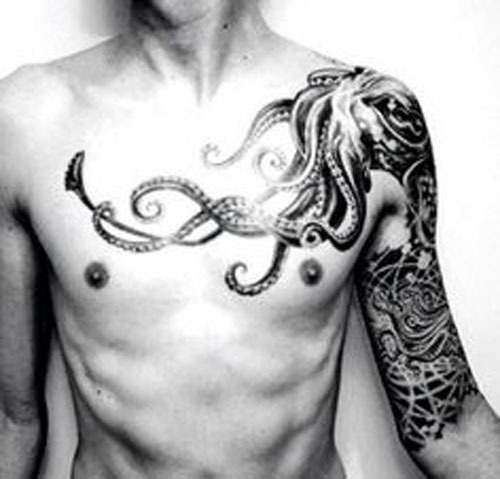 4 Where Can I Place A Kraken Tattoo? The Kraken is a humongous sea monster that is said to dwell off the Scandinavian and Greenlandic coasts. This sea monster has been subject to numerous fearsome tales of how it can devour a big ship at a snap of a finger. The Kraken first appeared in literature during the great Viking Age when they were exploring the northern seas to find new land to settle. Vikings have told that the Kraken is oftentimes seen in rough stormy waters out in the open seas. Sailors often tell Kraken stories whenever the seas are rough or they are having a good drink. From these tales, the Kraken’s story evolved until it catches on to modern-day culture. The Kraken of today is now subject to various forms of media. Oftentimes, the Kraken is seen as the main point of contention in literature and on television. Their rough nature and historic tales make them the perfect sea monster in a monster film or novel that is set out at sea. In video games, the Kraken is often depicted as a colossal squid that would devour anyone. In God of War II, for example, the Kraken is often encountered as a boss battle before continuing to the next level and the same can be said in other games that feature the Kraken as well. 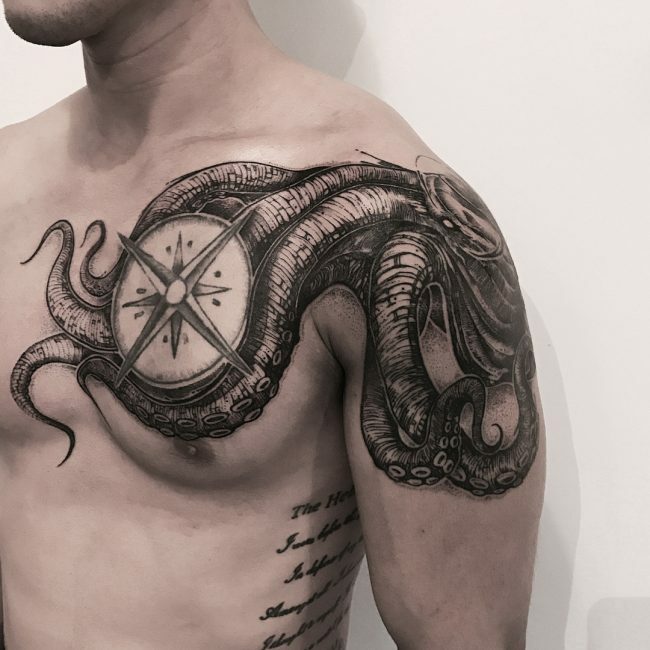 What Is The Meaning Of A Kraken Tattoo? The meaning of the Kraken as a tattoo can vary from one person to another but the majority of those who prefer to have a Kraken inked on their skin can agree that the Kraken symbolizes power since this horrific sea monster was thought to be very powerful in its own right. This can be proven by the most common depiction of the sea monster where it devours a large sea vessel with its tentacles. Other people would have the Kraken as a tattoo to exhibit their strength. The Kraken is said to be the strongest creature living deep in the sea which makes it no surprise that more often than not, the Kraken is depicted as so. The meaning of strength does not necessarily allude to physical strength but it can also be an inner strength. There are numerous depictions of this horrific sea monster in the body art industry but we have seen quite a few of these depictions that can be classified as common. Here are some of the Kraken tattoo designs that you will definitely fear and love at the same time. This Kraken is true to its name. The evil Kraken draws the perfect image of fear for those who would view it. To make sure that It will truly be evil-looking, we suggest you have it inked in black to exhibit that devilish aura. Want to radiate fear and power? Here are a few designs we saw that will perfectly fit your alpha personality! 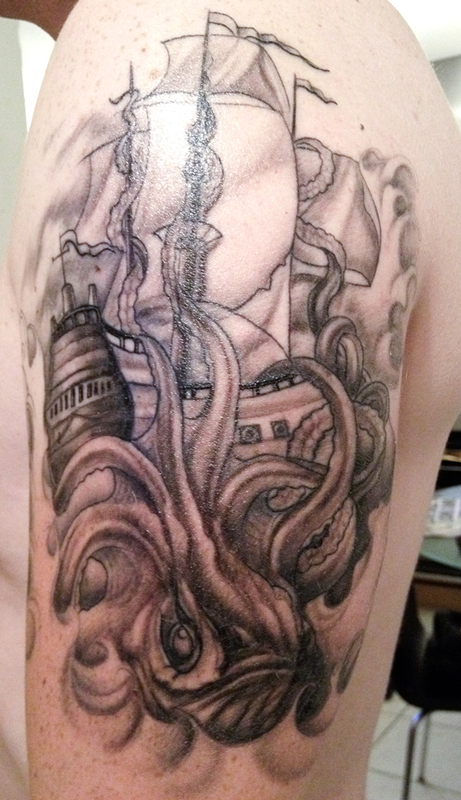 A realistic take on an evil kraken tattoo. 2. A cartoon-inspired evil kraken tattoo. 3. 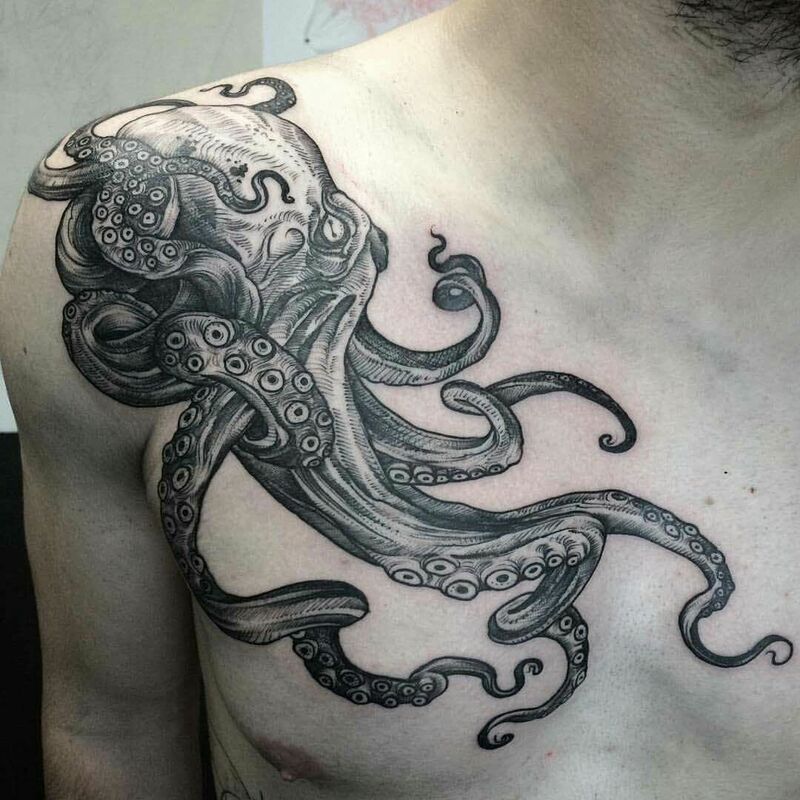 A drawing-like tattoo of the evil kraken. 4. 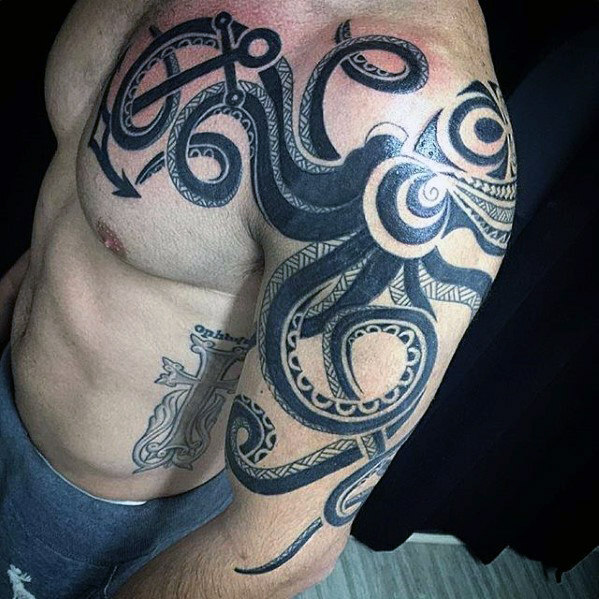 A shoulder tattoo of the kraken with its tentacles extending to the chest. 5. 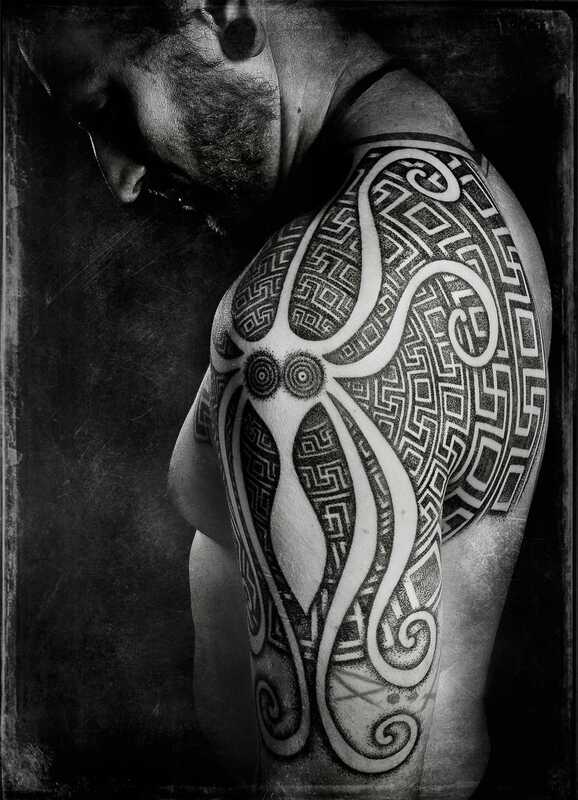 Another shoulder kraken tattoo with the tentacles extended to the chest. 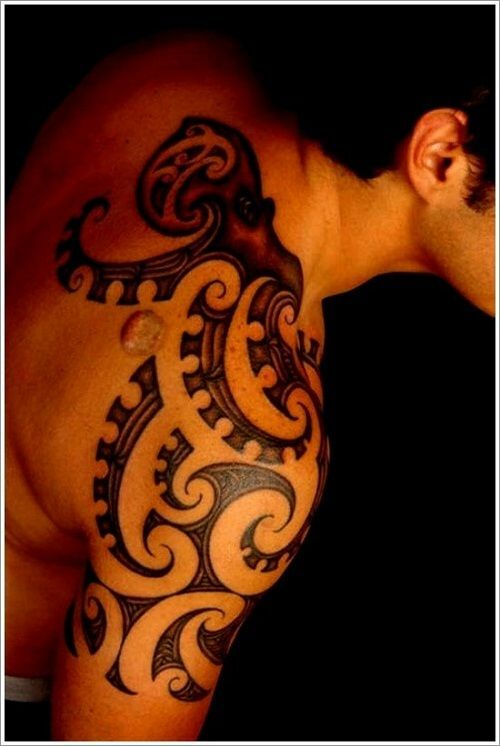 The Kraken with a tribal pattern may not radiate fear as the design mentioned above or might be as eye-catching but most definitely, a tribal patterned Kraken will give your tattoo that amazing unique look that cannot be often found in the crowd. Thought of yourself as a unique human being? Here are a few designs that would scream unique when others saw it! 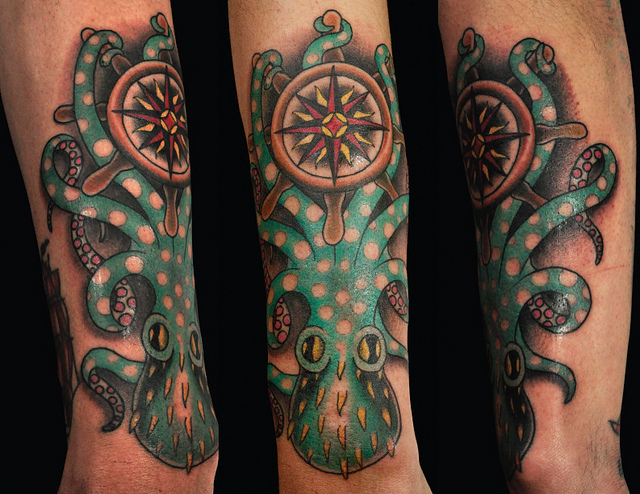 This is by far the most common and most intricate Kraken tattoo design out there. The Kraken is often shown as a sea monster sinking a massive ship and there are numerous ways on how to draw it but most often than not, the sea monster is shown as wrapping its tentacles on a ship while it devours it whole. Scarily beautiful right? These are only a few of the designs we saw on the web that would want you to beckon the Kraken. 1. 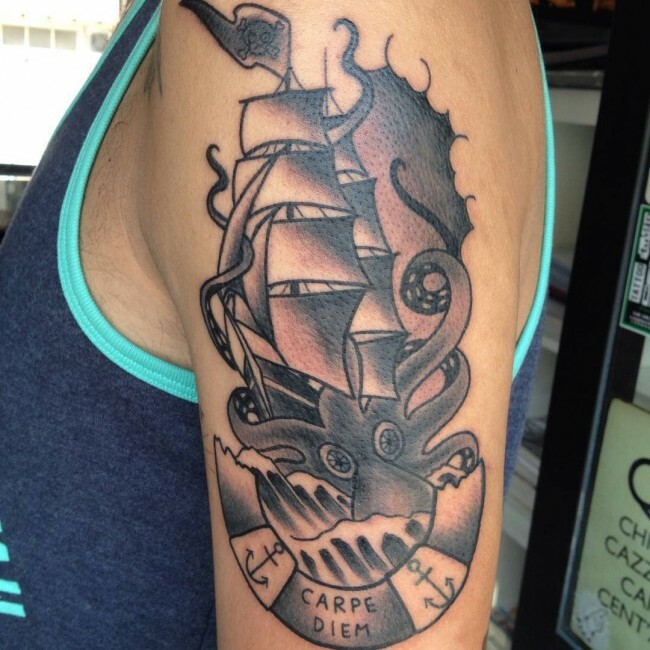 An avant-garde styled tattoo of the kraken’s tentacles and a ship. 2. A cartoonish shoulder tattoo of the kraken and a ship in watercolor ink. 3. 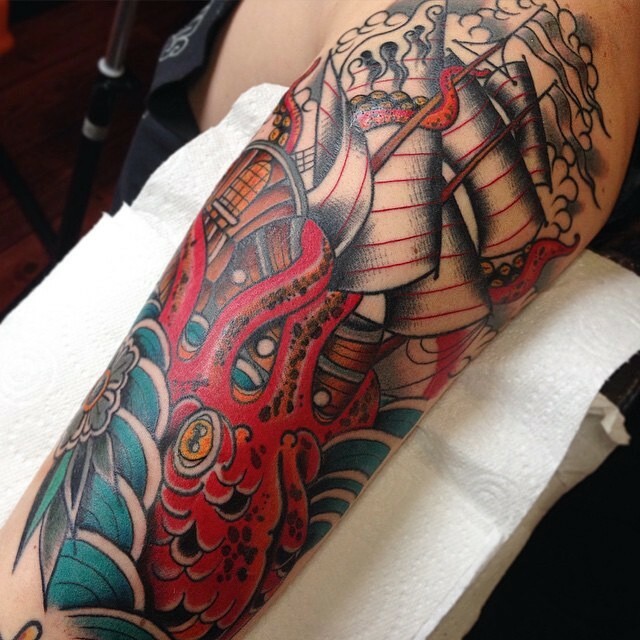 A colorful tattoo of the kraken with long tentacles. 4. 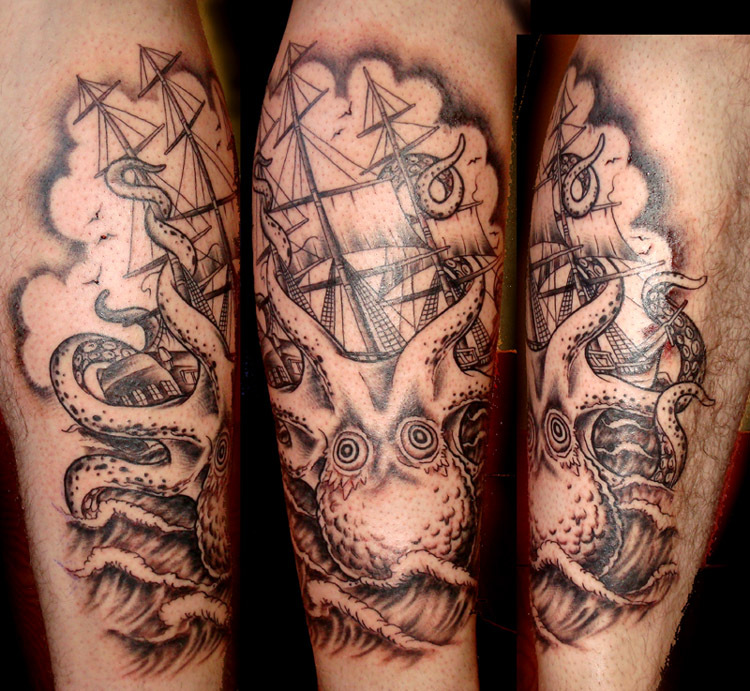 A sketch tattoo of the kraken and a large sailing ship. 5. 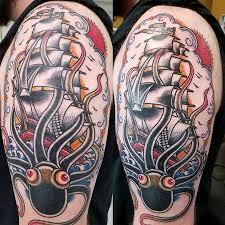 A cartoonish tattoo of the kraken devouring a ship. 6. 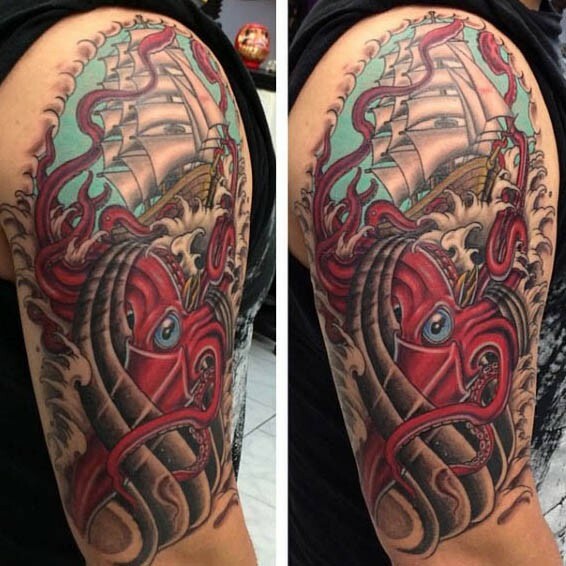 A colorful watercolor tattoo of the kraken and a ship. 7. 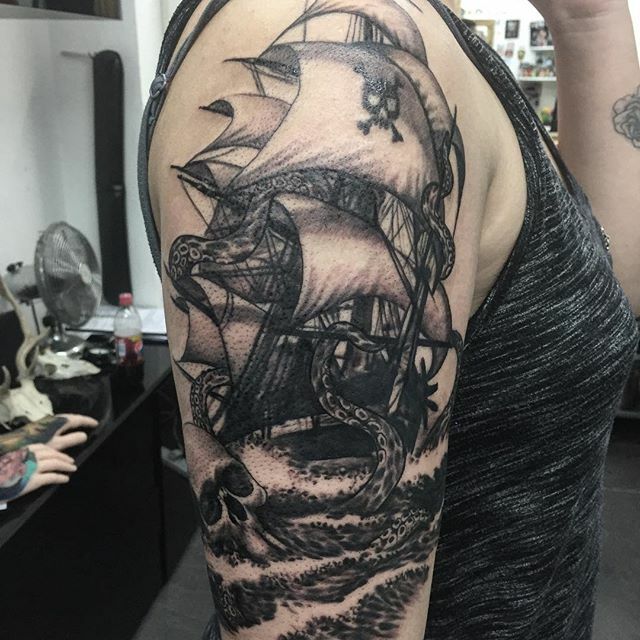 The Kraken and a pirate ship as a sleeve tattoo. 8. 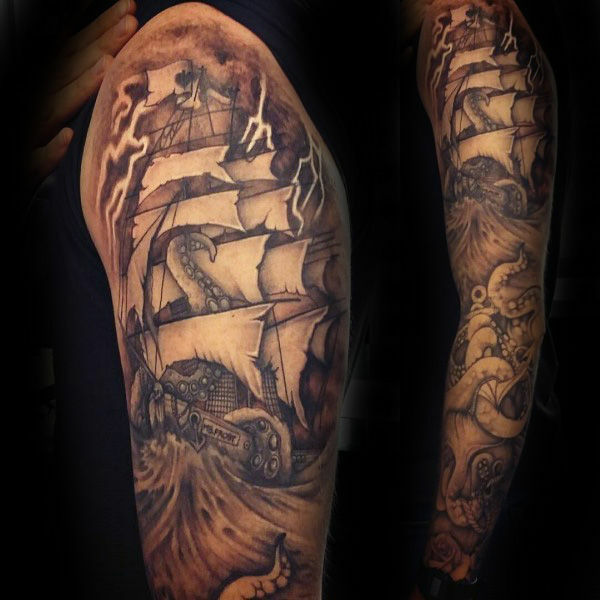 A sleeve tattoo of the Kraken’s tentacles wrapping around a ship in stormy seas. 9. 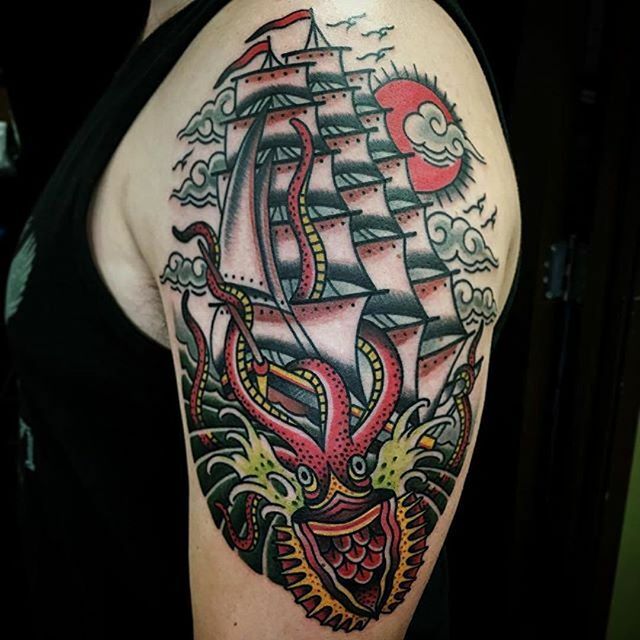 A colorful cartoonish shoulder tattoo of the Kraken and a ship on a sunny day. 10. 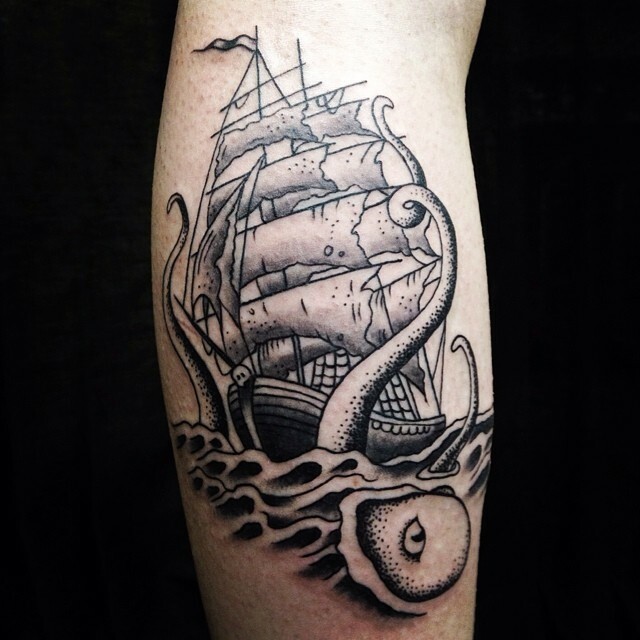 A sketch-like leg tattoo of the Kraken devouring a ship. 11. 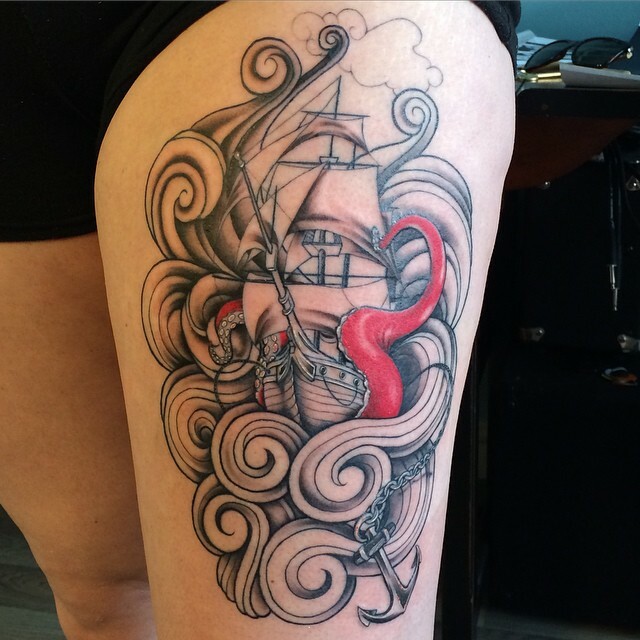 A watercolor leg tattoo of the Kraken and a ship in rough seas. 12. 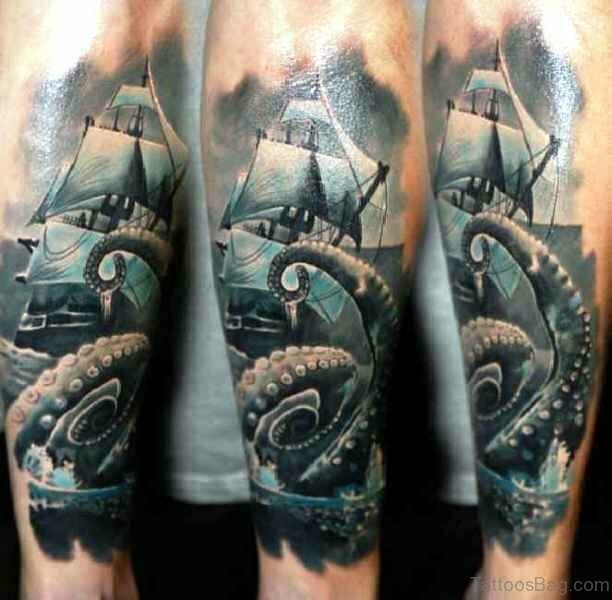 A leg tattoo of the Kraken that is about to devour a ship. 13. 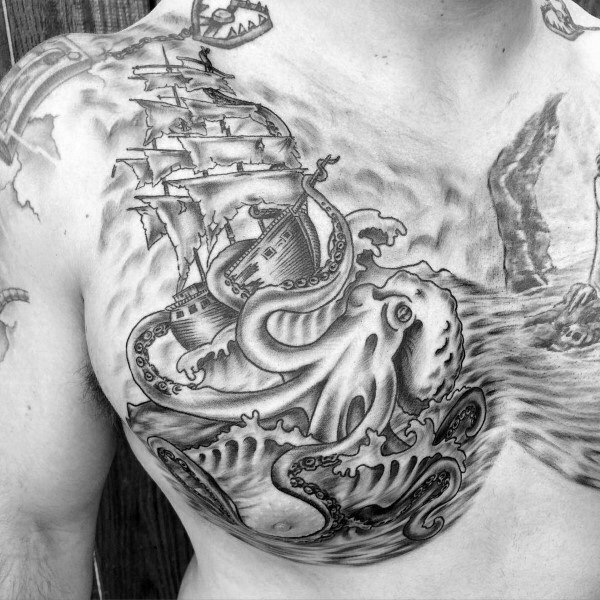 A large chest tattoo of the Kraken wrapping its tentacles around a ship. 14. 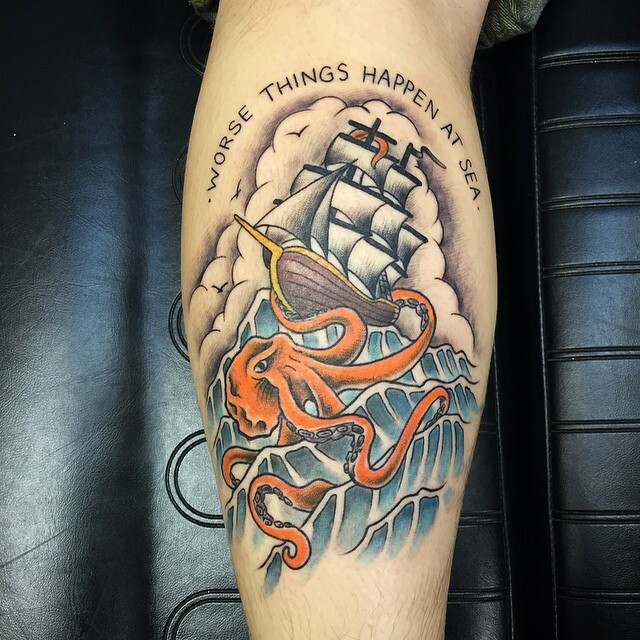 A watercolor tattoo of the Kraken with a ship. 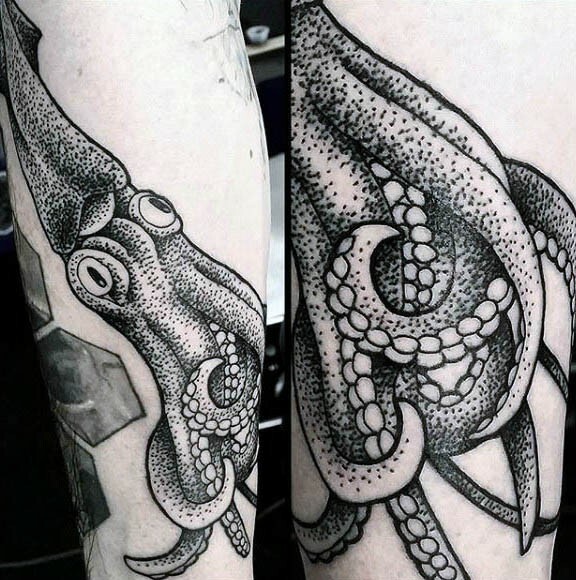 Where Can I Place A Kraken Tattoo? 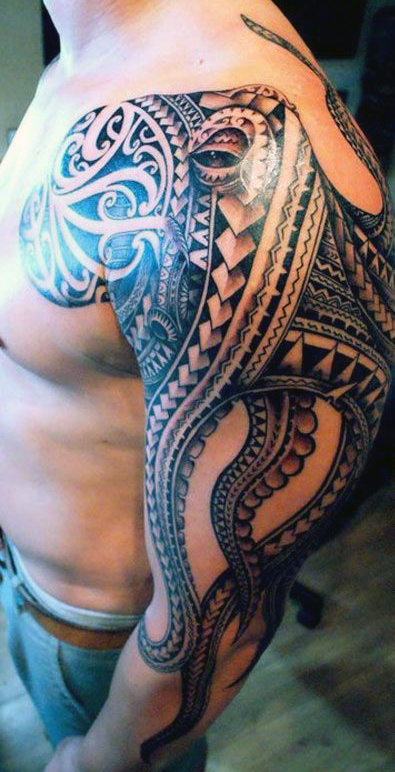 This tattoo design is often placed on the back as a fullback tattoo or on the limbs i.e. the legs and arms. 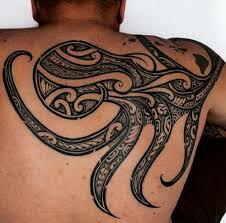 Kraken tattoos can also be placed on the chest while its tentacles extend to the shoulder of the tattoo enthusiast. No matter how you place this awesome of a tattoo on your body, we are definitely sure that you will love this sea monster.